"One day, I shall come back. Yes, I shall come back. Until then, there must be no regrets, no tears, no anxieties. Just go forward in all your beliefs, and prove to me that I am not mistaken in mine"
From the beginning, the First Doctor was a mysterious figure. He appeared to be a frail old man, despite the eventual revelation that he was actually the youngest of the Doctor's incarnations, and yet was possessed of unexpected reserves of strength and will. He obviously held tremendous knowledge of scientific matters, and yet was unable to pilot his TARDIS time ship reliably; his granddaughter Susan explained this by saying that her grandfather was "a bit forgetful". He was abrasive, patronising, and cantankerous towards his human travelling companions, yet shared a deep emotional bond with his granddaughter Susan. He also harboured a streak of ruthlessness, being willing to lie — and in one case attempt to kill — to achieve his goals. Initially, he distrusted his first two human companions, Ian Chesterton and Barbara Wright, who were forced on him. Over time, however, as they shared adventures together, he grew closer to them, and the TARDIS crew came to share almost a family bond. I LOVE the first Doctor. One of my absolute favourites. There is, or at least should be, an added respect for the man who originated the role. Unlike every Doctor that came after him, he had nobody to learn from or take elements of the character from. He took the character and built it from the ground up and did a storming job. I felt a bit odd doing this post, as well as the story battle, as I haven't much knowledge of his adventures. I aim to rectify this - relying on torrents as not much available to buy! I love the First Doctor. I would say he is in my top three. He gets a lovely character development along the way (much like Donna when you think about it) and some of his stories are my favourites. 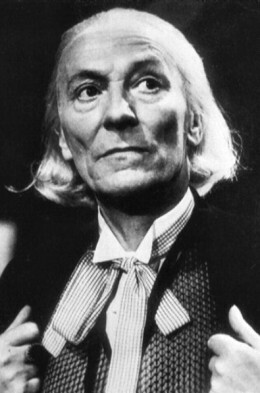 He was my original Doctor, as well as the original, and he's the yardstick by which all the others are measured. Awesome. This I think is summed up brilliantly. 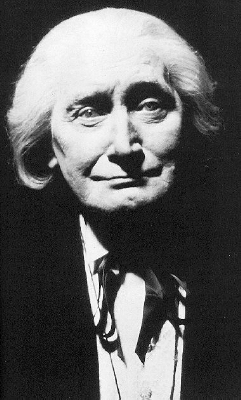 All too often people pick out and just remember the grumpy cantankerous old man and don't give enough credit to the huge character development and the brilliant and subtle changes that William Hartnell brought to the role. He developed the Doctor in such brilliant ways and it was his work that kept the show on the air and made it popular in those early years. Yes but back then that was the point. The show was a bit like Sliders. The Doctor had no control over where and when it would land and so with every trip they just had to hope it was the one that got them home, or as close to it as possible. I understand what you mean about them going out, overcoming an obstacle and then returning, but that was the point. Leaving the TARDIS and saying 'this is nice' then going again doesn't make for much of a story. The show has always followed that format. Wherever the Doctor lands, even now, there is always something going on or something to fix wherever he goes. It's just the way it is, and far easier than chalking it up to bad luck that the last 250 times the TARDIS has landed, it's been in the middle of some sort of drama. I definitely like the first Doctor- he's great. The way he changes is brilliant. He seems snobbish and xenophobic like his Time Lord colleagues but then starts to take an interest in the human race. He spends so much time getting into messes and learning new things which is brilliant and consistent with his older new Who selves who seem to know most aliens/technology/lore. The Aztecs, The Tenth Planet (my favorite Cybermen), and of course Unearthly Child Part 1 are some highlights for me.